Scroll towards the bottom of the page and click “Start Darkroom”. 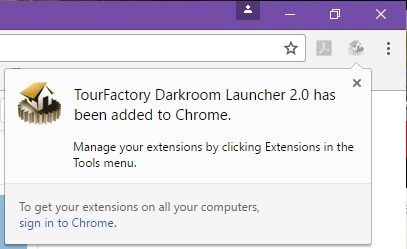 Click the “Download Darkroom launcher 3.0” button. 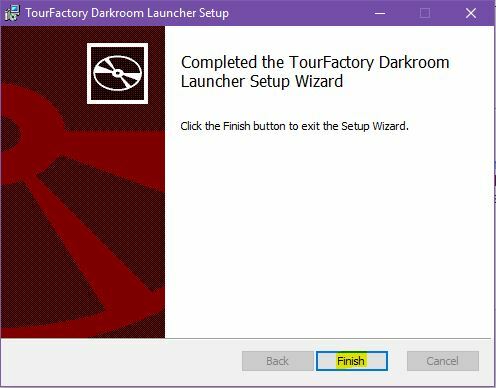 The TourFactory Darkroom Launcher Setup wizard will appear. 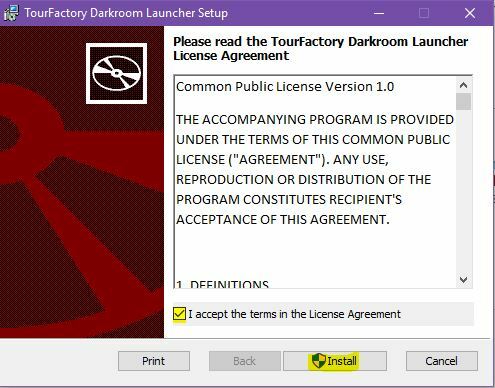 You will want to read and accept the License Agreement. Then click “Install”. 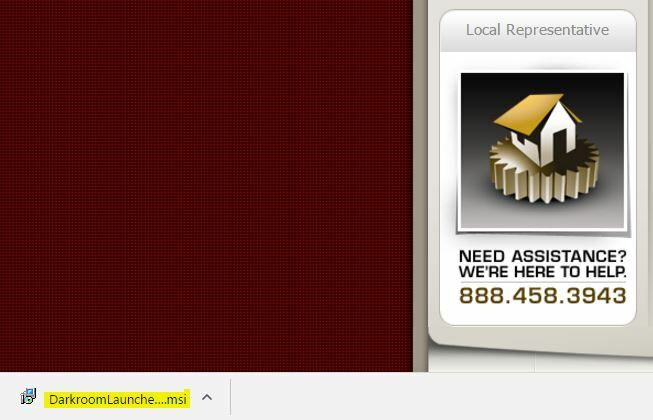 Click “Finish” at the bottom. You will then need to close Chrome. 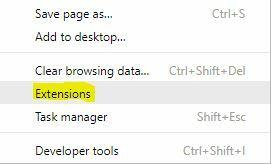 Once you reopen Chrome, you will see a pop-up in the upper right-hand corner stating that the extension has been added to Chrome. 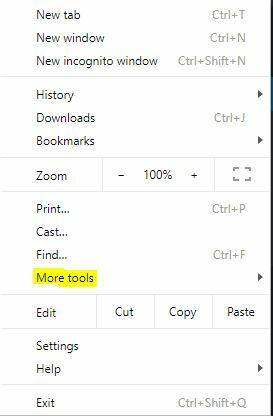 To verify that the extension is enabled, click on the three vertical dots in the upper right-hand corner of Chrome and select “More Tools”. 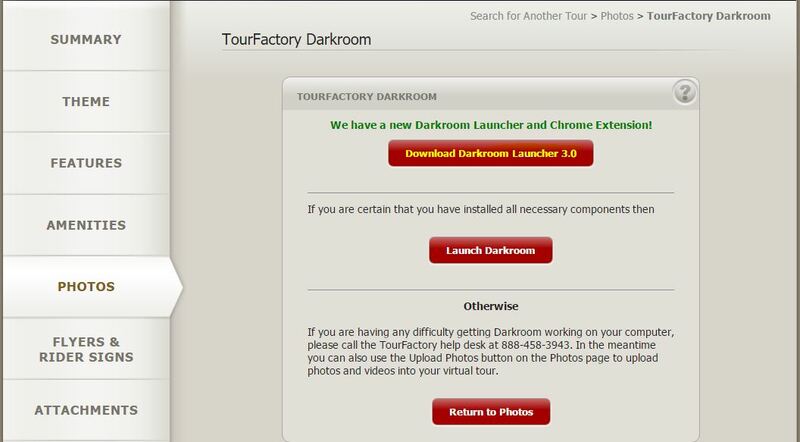 Locate the TourFactory Darkroom Launcher extension. 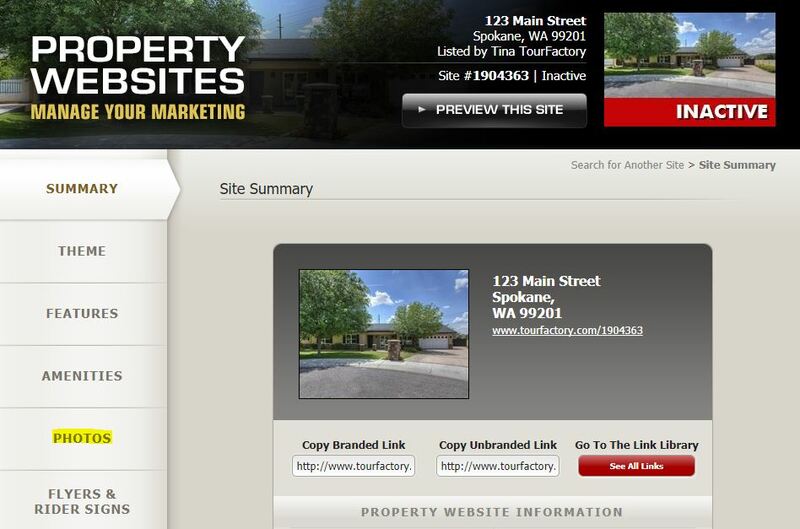 If the box is not checked, click the checkbox next to “Enable”. 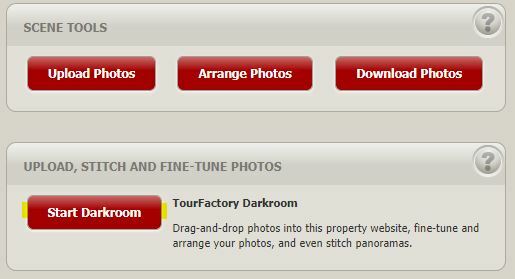 Click on the photos tab on the left-hand side, scroll down and click “Start Darkroom”. Darkroom will now launch normally.